A mature, hard cows milk cheese with herbs, garlic and local cider. 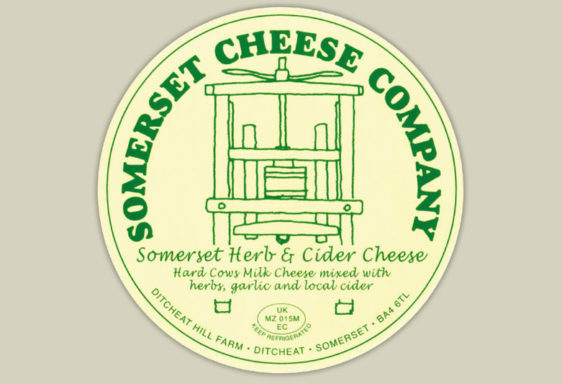 The flavours of our Somerset Herb and Cider cheese are well balanced allowing the herbs and garlic to compliment the mature taste of the cows cheese rather than overpower it. 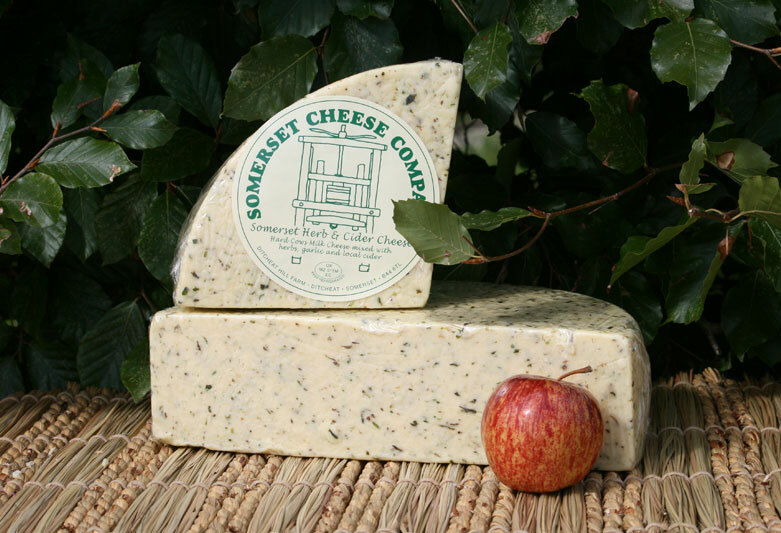 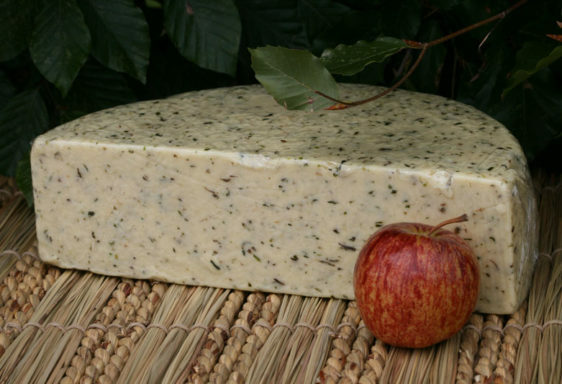 The Somerset Herb and Cider cheese has a lovely green speckled appearance that looks great on any cheese board.